I do love to create a little surprise for the Mini Mes to discover each day at school. Something to look forward to and a nice reminder that I am thinking about them and their day even though I'm not there in person. Such a small thing like making food fun can make such a big difference to a child - I do hope that my attempts put a smile on their faces every lunch time! I certainly enjoy creating their meals and trying to come up with imaginative new ideas for them to explore. For the sandwich (ham) I used 3 different sized circular cutters to create a head, snout and ears. The snout is made from cheese and I've added eyes and a nose of raisins. I've added a cheese bear (made with a shaped cutter) and some raisins into a pot which Jamster will no doubt pretend are bear droppings and find hilarious! I've also added a yogurt and orange juice in their lunch bags. 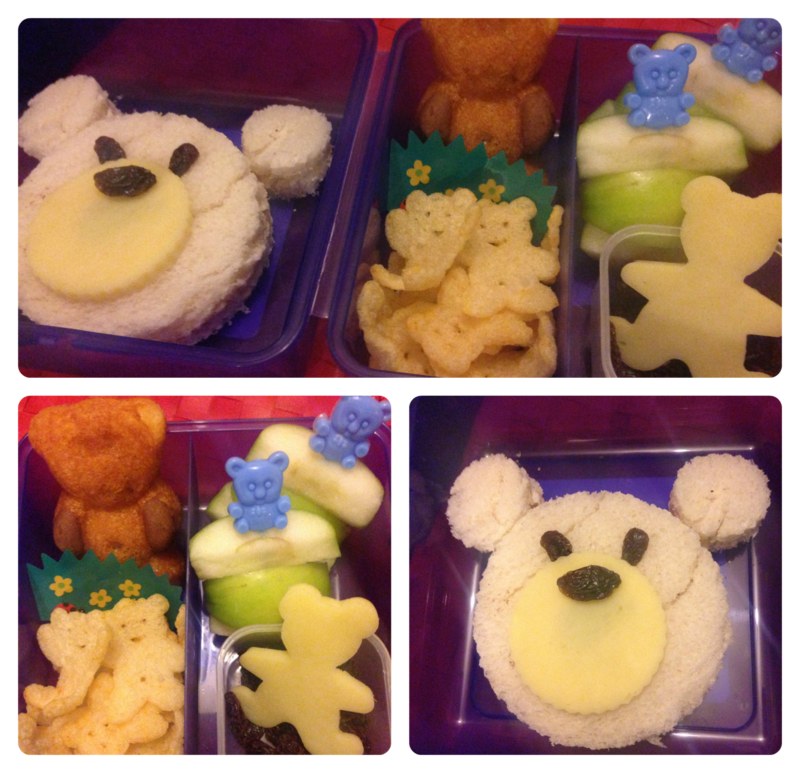 We met Barny bear at Lollibop over the summer and this themed lunch box was inspired by the great day out that we had as a family at the festival. What inspires you when creating meals? Oh how cool the Bento snacks look like, good job! Puts our floppy sandwiches to shame. Ahhh lovely! I too love being creative for my kids lunches - we have a huge selection of pastry cutters which I use on their sandwiches and toast! I am inspired by fairies and princesses for my girls at the mo and anything to do with football or space for my boys! That is such a wonderful lunch box. What fun and what lucky children you have. Looks perfect! I need more bento accessories!